Roger Federer came alive on home soil this past week, beating Juan Martin del Potro in three sets to not only win the Swiss Indoors Basel, but also to extend his winning streak to 10 matches in a row. 1. He won his ATP World Tour-leading seventh title of 2017. Federer tied Nadal at six in Shanghai two weeks ago, and the Swiss now passes the Spaniard for most ATP World Tour titles on the year. 2. 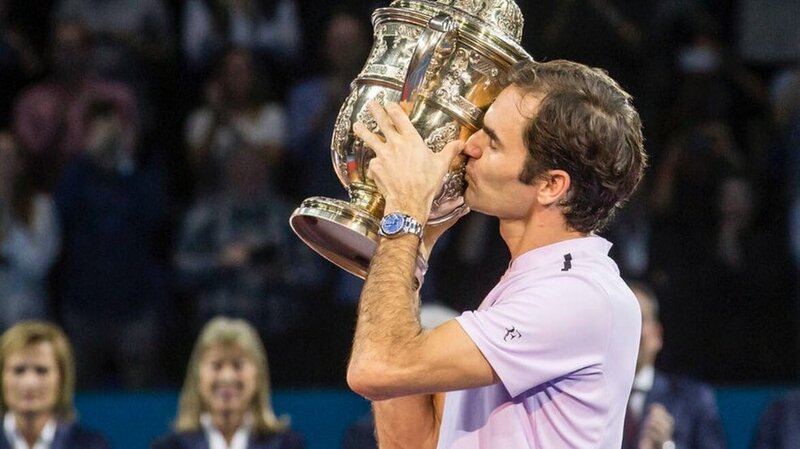 He won an incredible eighth Basel title. Federer adds the 2017 crown to previous wins in 2006, 2007, 2008, 2010, 2011, 2014 and 2015. This is now one of three ATP World Tour events Federer has won eight or more times - he has nine career titles in Halle and eight career titles at Wimbledon. 3. He’s now standalone second place for most career titles in the Open Era. Federer went into Basel tied in second place with Lendl at 94 career ATP World Tour titles, but with his 95th, he’s now standalone second place. Connors holds the Open Era record with 109 career ATP World Tour titles. 4. He passes Djokovic for most career prize money ever. Federer’s victory pushed his career prize money to $109,853,682, passing Djokovic’s $109,805,403 for the new record for most career prize money in tennis, male or female. Nadal ($91,199,322) and Serena ($84,463,131) are next.